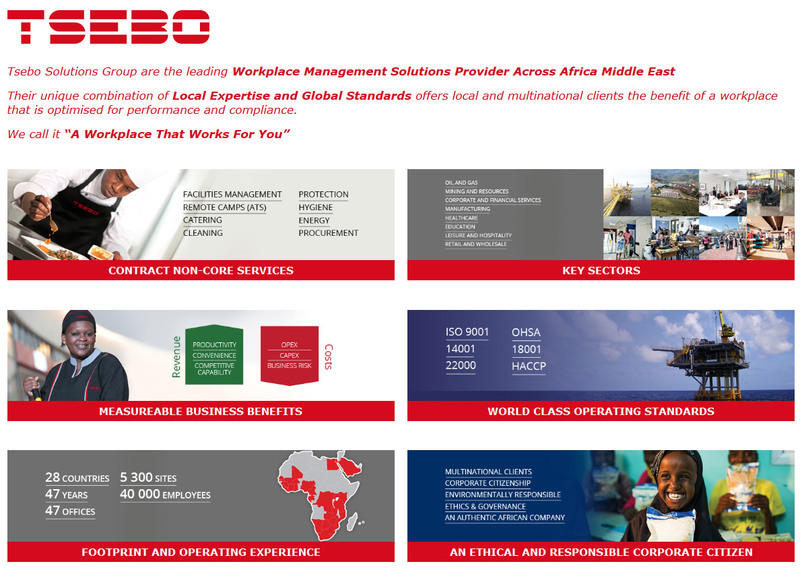 Emerging from a single contract in 1999, Tsebo Cleaning Services is now the third largest cleaning provider in South Africa with over 150 contracts across the country and a staff compliment of over 13,000 cleaning professionals. We are a leader in the contract cleaning industry thanks in part to our roots in the healthcare sector – a heritage that translates into a service ethos and cleaning standards of the very highest quality. We provide hospital-level cleaning services, no matter the environment. Tsebo Cleaning has its roots in the healthcare and hospitality sectors. This heritage has given us two primary advantages in the cleaning industry. Our hospitality heritage means that customer service is built into our staff training, business structure and the qualification levels of our managers. All our senior and middle managers are required to attend Management Advancement Programme (MAP) courses run by the Gordon Institute of Business Sciences (GIBS), making them the best qualified managers in the industry. Our structures are kept deliberately flat and lean, giving our clients small-company responsiveness. Our mandate is to make your brand shine in the eyes of your employees, shareholders and customers. We operate via a quality-driven business model, and our hospital cleaning heritage gives us the edge in this regard. We manage our business according to the standards of private healthcare.